The SmartForexTrading is a forex expert advisor. The Smart Forex Trading automated forex trading software for the MetaTrader platform places trades for you. 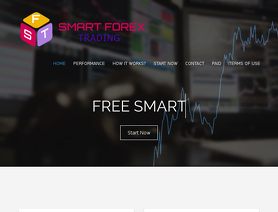 The SmartForexTrading.co forex robot works with MT4 Brokers.